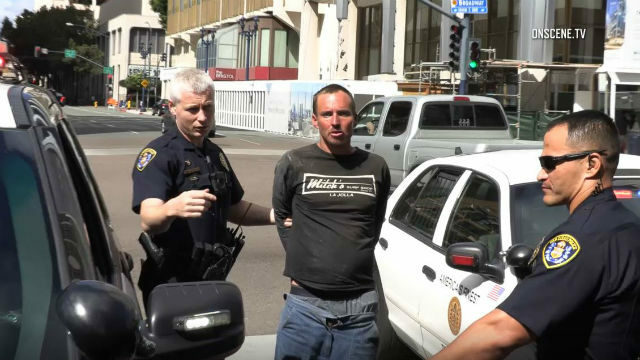 A man was arrested after he unsuccessfully tried to rob a bank in downtown San Diego Saturday, police said. Dispatchers received a call at 2:44 p.m. about a robbery at the Chase bank branch at 101 W. Broadway, according to Sgt. Robert Hawkins of the San Diego Police Department. The would-be robber gave a demand note to staff at the bank, but wasn’t seen with any weapons, Hawkins said. The suspect was still inside when officers arrived at the scene. Police took him into custody without incident. No loss was reported by the bank, and no one was injured.